Trade in Services Agreement could change the global Internet. How a secretive trade agreement could change the global Internet. Sen. Elizabeth Warren tried to stop the Senate from approving “fast track” trade rules. 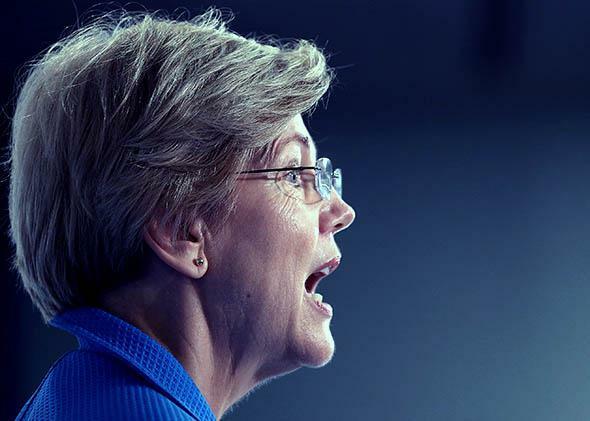 Above, Warren speaks on May 12, 2015, in Washington. Free trade agreements now regulate the Internet, determining digital policies across borders and around the world. TISA in particular addresses digital privacy, a critical issue at home and abroad. Yet the negotiations are not being held in a normal venue for discussing human rights or even ordinary law. TISA, like other trade agreements, is negotiated through a byzantine, readily corruptible process known as “fast track,” which Congress is about to renew. It is unacceptable for a professed democracy to address issues of this magnitude without meaningful public accountability. The Internet is global, but privacy regulations incorporate localized norms. The U.S., for example, protects only some things, like your video-watching history and health information, while the European Union has a comprehensive framework for safeguarding far more information. The EU also tends to give privacy more weight, and free speech less, when compared with the U.S., as evidenced by the controversy over the “right to be forgotten,” a policy that allows EU citizens to request delisting of pages from Google search results on searches of their names. International law in general, and trade law in particular, is a theoretically attractive place for resolving such conflicts, as countries traditionally use trade agreements to harmonize divergent regulations and to govern the flow of goods (and data!) across borders. International conflicts over privacy are only increasing. Since Edward Snowden began dropping his bombshell revelations about National Security Agency surveillance two years ago, the treatment of foreigners’ data by U.S. companies and the government has become a central sticking point with a number of countries. Some fear that American companies want to deregulate privacy globally, because it’s awfully expensive to implement EU-style privacy protections. Some nations have proposed to keep data local so that Americans can’t vacuum it up, or are otherwise reconsidering how to treat U.S. companies and their handling of foreign citizens’ data. For some time, preventing data localization has been high on the list of objectives in U.S. trade negotiations. In previous free trade agreements, though, the U.S. has kept things short and sweet, mainly trying to prevent countries from discriminating against digital products originating abroad. We don’t know whether this draft language will make it into the final agreement. But if it does, the crucial question is the extent to which privacy regulations, like the American health privacy law or EU data protection, might be exempted from it. The subject matter TISA covers is already governed by a global agreement called GATS, which has an exception for privacy protections. In other words, privacy protections are explicitly not treated as trade barriers in GATS. The leaked draft language from TISA shows that there is an ongoing debate between countries over whether to create an explicit privacy exception within TISA itself. The result of this debate is hugely important for states that want privacy laws. This brings us to Congress. Trade agreements have historically been negotiated, concluded, and implemented in the U.S. through a special process known as “fast track,” which expired in 2010. With fast track, Congress effectively ties its own hands with respect to trade. It gives the executive branch vague negotiating objectives, such as “recognize the growing significance of the Internet as a trading platform in international commerce,” and limits itself to an up-or-down vote on the final agreement text. The process is also highly secretive—in fact, trade agreement texts are classified. While the executive branch does consult with members of Congress, even congressional staffers with security clearance have until recently been prevented from seeing the texts. Furthermore, certain trade industry advisers are allowed access to U.S. negotiating objectives and negotiators that the public and public interest groups do not have. This abbreviated and secretive process makes it much easier to institute trade agreements than, say, human rights agreements. Congress has long embraced fast track with respect to trade because isolationism can be economically devastating—it helped give rise to the Great Depression, for example. But now, trade agreements have become an entirely different beast. When we’re dealing with agreements that affect human rights, the potential for and evidence of selective industry influence is truly troubling. Trade agreements governing civil liberties (and jobs, and the environment, and public health … ) need to receive meaningful input from the public and its real representatives—not after negotiations are concluded, not through a Congress hampered by excessive executive secrecy, and not through vague negotiating objectives that fail to meaningfully address human rights and other values. And it is crucial that the input into the process from industry advisers be meaningfully checked, not perpetuated. The current version of fast track requires the executive branch to develop guidelines for public engagement, but if the past is any indicator, the trade representative’s idea of public participation and disclosure is more theater than substance.